Be Inspired Of Others Success, Not Defeated. This is an interesting topic because again we will train our mind to stay positive. Why being positive is powerful? POSITIVITY makes us THANKFUL which results on MANIFESTING THE LIFE WE WANT! If you can see the positive and good side of all things then you will find peace, inner joy and contentment. And the best thing, it might not be intentional for you, is that these positive energies and vibe you’re producing will actually attract more of it. And these positive energies can bring in the actual things that make you happy – both intangible and physical things. You attract more of what you constantly feed your mind. If you heard your colleagues or schoolmates announcing some good news about themselves – either they launch a new business, got their dream job, migrated somewhere, married a prince, is now pregnant or lose 10 pounds – HOW DO YOU FEEL? Do you feel irritated because they are being boastful? Were you inspired of what they achieve? Do you believe that it’s also possible for you? Can you see the difference of having these two different emotions whenever we know of somebody else’s achievements? When we see our former classmates’ status on Facebook sharing their travel posts, do you feel happy for them? I do. I genuinely do. Especially if the place is my dream destination, I would look on their pictures and see the places they’re visiting. I would look into their photos with joy in my heart and burning desire that I will definitely go this place soon. If I see friends who lost tons of weight or into super active lifestyle now, I am truly amazed. One of my life goal to be really healthy (and not only thin) until I’m wrinkled and old. I want to find a physical activity that I would be interested in. The fact that these former classmates are into pole dancing or biking or swimming, and they are maintaining good weight because of it – I am inspired! Seriously, if you’re the type who feel happy for someone’s success then you’re on good track. But if you resent others because of their achievement, then you have to change your mindset. If you think about it, you and your former school batch mates just came from the same school obviously. Which could probably mean that your families had the same financial status. It’s not like you’re Juan dela Cruz and they are Jaime Zobel. Whatever they had before would probably the same things you had. Yes, they could have a bigger pocket money but it’s not like they have 1000 pesos a day allowance while you have 20 pesos. For sure the difference of your allowance and their allowance is just a few pesos, right? But why is it that your former colleagues or batch mates seem so put together? Why do they look so successful? First and foremost, never compare your journey or life with others. Their journey is not your journey. You have your own road to build and take. Second, admit that you are feeling jealous. We’re only human after all. It’s natural. But don’t dwell on it. Once you recognized that you have jealous or insecure thoughts, say this aloud – I am happy for their happiness. Remind yourself that all the negative thoughts and feelings you feed your mind will just attract more negative things. Say it aloud again – I am happy for their happiness. It might not sound real the first few times you say it. You might not probably mean it. But if you constantly tell these positive affirmations every time you feel that pang of jealousy, soon it will become easier and then start to actually mean it. One day you will find yourself being truly inspired by successful and happy people around you, not defeated, not insecure. If you see people around you achieving things that you want to have yourself, make them as your inspiration. Don’t be afraid to approach them or talk to them. Ask questions. Surround yourself with people who wants to achieve more in life. What you need to cultivate is the feeling of being inspired. Be inspired by someone else’s success and achievements. Because you know what? You can have whatever they have if not more if that’s what you really want. Have you heard of crab mentality? Pulling each other down? Avoid people that has this mentality. Usually they only talk about other people, spreading negativity, keeps on complaining. Just bad vibes. Never surround yourself with these kind of people. They can never help you. The sad reality though is sometimes these people might be a family member or a dear friend. I’m not saying cut your ties but ‘lower the volume’ if you’re with them. You get it? Once they start talking about negative things, change the topic. Once they rant about life being unfair, don’t engage into the conversation. To help you work on your money blocks, remove the thoughts that prevent you from achieving your goal, please get my free mini-course. Find like-minded people who aspire the same things as you. Who focus on charity, giving back, business, wealth, family. All things that resonates with you. Train your mind to focus on the good things around you. You can do so by constantly reminding yourself that you are blessed. You deserve it. And your time has come. Say These aloud – I am blessed. I deserve it. It’s my time now. Believe it because it’s true. 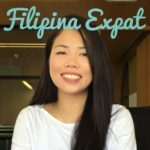 This entry was posted in Positivity and tagged Dubai blogger, filipina expat, Pinoy Blogger, The Wealthy Pinay. Oh my, this hits me right on the spot LynJoy! Nova!!! Thanks for the kind words. Blogging is my outlet. Dami ko kze naiisip pero wala ako masyadong masabihan. Masyadong complex ang utak ko, haha.